I spent the rest of the afternoon chugging water and plowing through some grad school reading. 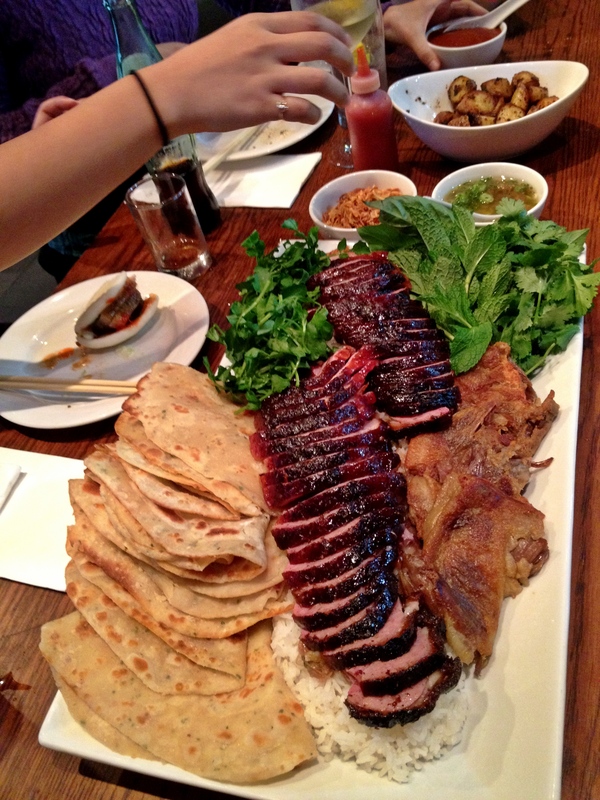 It was a good seven hours until I could even think about eating again. Something restorative was essential. Fortunately, I had some Lacinato kale and pears left over from my CSA share. In a medium-sized jar, combine half of a large, thinly-sliced red onion; 2 tablespoons of honey vinegar (or any other light-colored vinegar); 1 tablespoon of creamy Dijon mustard; 1-2 tablespoons of good quality extra virgin olive oil; and salt and black pepper. Screw the lid on the jar and shake vigorously. Let sit for an hour or so. Pour the dressing over six cups of chiffonade of Lacinato kale and toss thoroughly. Let this sit for another hour or so, mixing periodically. Toss a sliced pear in and grab a fork. 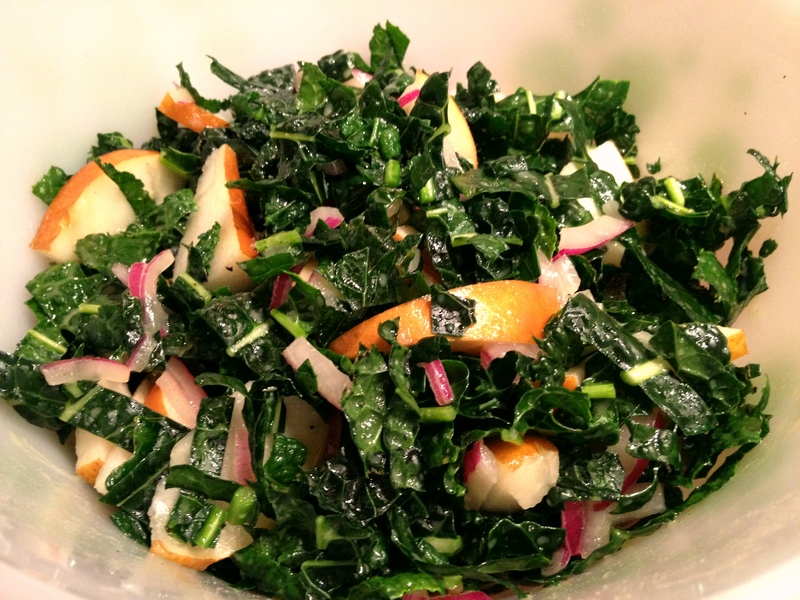 This entry was posted in salads, vegan, vegetarian and tagged kale, pear by Jasmine Nielsen. Bookmark the permalink.